A visit to the brilliantly planned US Holocaust Memorial Museum is a powerful experrience, but does it belong in the US capital? 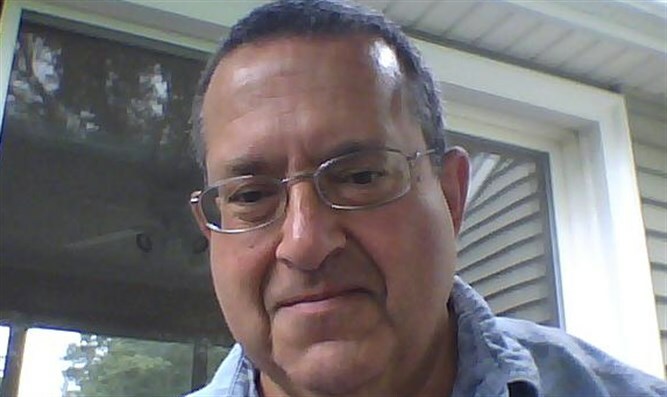 Abraham Glazer is a recently retired technology salesperson with a lifelong interest in writing, who lives in Rhode Island with his wife and an English Bulldog named Baxter. My wife and I recently went to Washington DC. It was the first time for her and seemed like the first for me. The only memories of my previous visit were a dozen black & white photos dated May 1959 when I was 7. For many of us, DC is a common daily occurrence in the news with images of the White House, the Capital and Supreme Court buildings and the prominent monuments. We arrived to find a normal city with lots of traffic and crowds of people going to and coming home from work. Washington DC is also filled with numerous museums, neoclassical federal buildings and the occasional motorcade led for some reason by 17 motorcycles. The most impactful and powerful time there were the hours we spent at The United States Holocaust Memorial Museum. My issue is not with the Museum Memorial. Instead, it is that it is out of place in America’s city and the memorials that commemorate man’s contribution to America. The U.S Holocaust Memorial Museum does not. The Memorial Museum is a superbly designed, curated and researched museum in a city filled with wonderful museums. It is one of the most impressive and emotional museums I’ve ever visited. It has no chiseled letters above the entryway or large sign outside. Whether intended or not, the outside of the building is designed to be easily passed by. Perhaps a statement of how easy it is to ignore evil. Museums are usually awash with light to enhance the exhibits. Paintings are highlighted with spotlights, usually in large brightly lit rooms. This is a Memorial Museum and it befits the subject that the exhibit area is mostly dark with one notable exception. “The Tower of Faces” begins in darkness and is a 3 story chimney-like room. Four walls are filled with hundreds of photos illuminating the lives of an estimated 3,500 individuals in the Lithuanian town of Eisiskes. Along with an estimated 1,000 other Jews from surrounding villages, they were slaughtered by Germans during the High Holy Days in 1941. The tower rises with hundreds of photographs from the dim light to daylight as a personal statement that we remember these individuals and their descendants who were stolen from the world. Perhaps the passage of darkness into light paved with elegantly simple photographs is to acknowledge hope. That even with the diligence of this monstrous act, people survived. Following from photo to photo , we can identify in some small way with the pictures that illuminate these people’s lives. They are tokens of the past that was denied to 4,500 men, women and children. The community that these people built over generations and the children who would continue to do so was ended by people whose acts of evil were cloaked with their own ideals. Another powerful exhibit, thousands of shoes confiscated at the death camps, makes the numbers real, the lives more palpable with a commonplace item we all share. This evil unchained was not sated with the goal of ending lives. Murder was not enough. Stripping men, women and children of clothes, jewelry, tooth fillings and suitcases of memories was the l. The confiscation of these layers of humanity was a necessary prerequisite to the final theft of murder. It is almost impossible to look at each one as you are drawn to one nearby and then another and another and another. After a while you can almost see each person’s life rise from their feet. Thousands of lives leaving only their soles. The message of the Memorial is presented superbly. Every person visiting DC, especially children, should take slow steps through the magnificent work done by hundreds of people. We should reflect on what evil looks like. We live in a world where many of us have lived our lives never having experienced evil and may even believe that benevolence is a more common trait in man. From the darkness of the hallways, the Memorial Museum shines a blazing light on how evil impacted the lives of marginalized people, predominantly Jews. 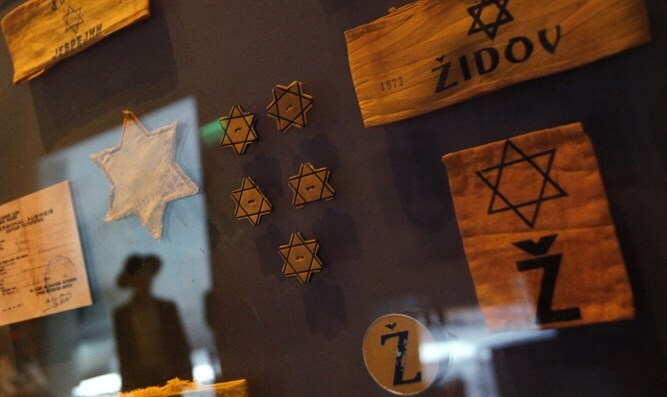 From the darkness of the hallways, the Memorial Museum shines a blazing light on how evil impacted the lives of marginalized people, predominantly Jews. So a key lesson should be how common evil is in the history of man. I’ll be carrying the horror, pain and evil memorialized by a thousand empty shoes, the photographs of townspeople rising to heaven and especially the all too brief conversation with Mrs. Bella Mischkinsky. Her smile and welcome was the most poignant presentation at the Memorial Museum. What an amazing statement that Survivors have volunteered to be a critical part of the Memorial. May they be with us for many years, G-d willing. The lives they built and their descendants are a blessing for all of us. The Memorial Museum and the Survivors have a humbling lesson of the hubris that we all carry when we see our lives as the epicenter of the universe. May we never forget that whatever good we think we are doing, as humans, we also carry the seed of evil. This magnificent creation is truly a Memorial Museum. It is designed to educate what genocide means by using by what we have come to see as the penultimate example: the Nazi’s actions to inflict their ideals on the world. It is a stark reminder that anytime the slaughter of humans done in the name of purifying the world, we must remember and call out that evil. Whether it was in China, Russia, Cambodia, Turkey or Germany. The US Holocaust Memorial Museum is a wonderful educational tool, but is not about Americans and is out of place in Washington DC. I look forward to visiting many of the 68 Holocaust Museums and memorials in 28 states and someday Yad Vashem in Israel. But one of the lessons I learned from my visit to Washington DC is that America is unique in history. We are the only country founded on the recognition of man’s higher ideals while acknowledging our baser inclinations. America’s ideal is no better expressed than in the foundational motto E pluribus unum, out of many, one. The memorials to Jefferson, Lincoln and Washington, the heartfelt Vietnam Veterans Memorial, the striking Korean War Veterans Memorial, and the graves at Arlington National Cemetery are there to honor and remember Americans and the greatness that came not from conquest or slaughtering another people, but from the offer of liberty. The purpose of memorials in America’s city should be to honor people who gave the highest measure to that end. The United States Holocaust Memorial Museum is focused on European Jews and other victims of the Nazis and so seems to contradict the message of American memorials in America’s city, except for the fact that so many survivors came to the US and so many US servicemen gave their lives to bring down Nazi Germany.